We at MyTopFace are committed to finding our readers products they will love. While we tend to break the bank on beauty, that doesn’t mean you guys have to in order to get amazing results! Our last few reviews have centered around natural beauty products. 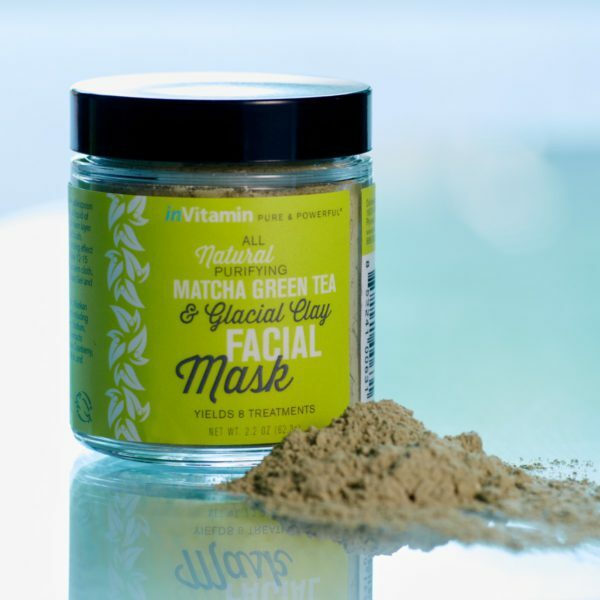 While these products have been easy on our skin- a lot of them have been harsher on our wallets. We wanted to show you a product line we really like and that your wallet will be fond of as well. Here enters inVitamin. The brand promises a commitment to natural and quality ingredients, all while not asking their clients to dig too deeply into their pockets. It was founded on the belief that what a consumer puts on their body is just as important as what they put in it! All products are handmade in small batches as the company is still small and family oriented! Their products range from household items, like detergent and cleaning sprays, that are safe for the entire family to use, to personal care for all ages. The MTF beauty experts sampled 4 of these personal care products. My Top Face Beauty experts tend to be all too guilty of abusing a dry shampoo, we will basically try anything if it means getting an extra day out of our precious blowouts! The trick with these miracle products is fighting the build up. Finding a dry shampoo you can use on the go to absorb the extra oil from hair without that guilty white residue is always a mission at our office! 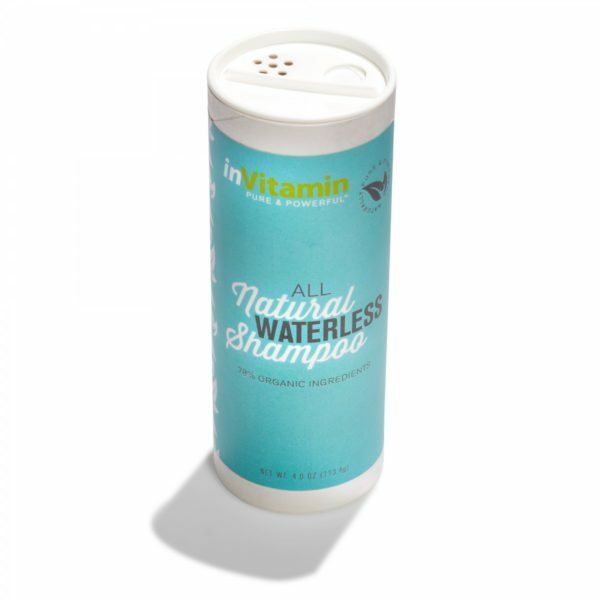 We were excited to try the Waterless Shampoo from the inVitamin line because of this! Since the product is all natural we had high hopes for it to not build up and hopefully also nurture our locks. Upon first impression, we loved the smell of this product. It is clean and simple, and wouldn’t interact in a strong way with our fragrance. We are used to using dry shampoos with an aerosol spray top distributing the product throughout our roots evening. The product from inVitamin does not have this and leaves you to sprinkle the product on your scalp. While this wasn’t a deal breaker for us it did make for a bit of a less user-friendly experience. This product definitely works and does its job! Just be very careful to apply with caution. We will be sticking to dry shampoo with a spray mechanism ourselves. This time we used two of the inVitamin products together and were not disappointed. We are not normally sponge people and normally prefer to use our hands when washing our face but we’re excited to try this one with its impressive promises. The Konjac Sponge fits perfectly into the palm of our hands and when wet truly softens up and becomes perfect for mild exfoliation and unclogging pores. At $6 it should be a staple in all men’s and women’s kitchen cabinets! The sponge lasts 2 months before it needs to be replaced which is a great timeline for such a well-priced item. We used our sponge with the Charcoal Cleansing Cream which we liked as well! Activated Charcoal has been such a buzz product lately, and that’s because it truly works. Charcoal products do a fabulous job of extracting the problem areas of our complexion and ridding our skin of them. This cleanser proved to not be an exception. We really liked it and felt it was gentle on our skin and again- for the price, it probably can’t be beat $12. The inVitamin Micellar H2O is a 3-in-1 product. Here’s what makes it so great, normally with our cleansers we are tied down to a sink having to use water to wet our faces before cleaning and after to wash off our product. With this product, all you need is your micellar water and some cotton balls! The micelles are unique microscopic clusters of molecules that grab onto dirt and makeup left on your skin simply by swiping the solution over your skin, lips, and eyes. 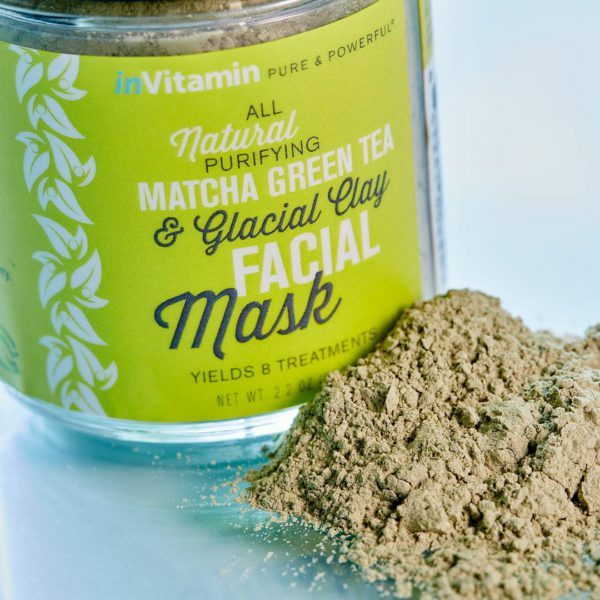 We love the ease with which this product takes off our makeup while cleaning and hydrating our skin. It really does a great job at getting off our tough eye makeup and doesn’t give us a greasy feeling like some eye makeup removers tend to do. It’s a true triple threat! This product is a perfect fit for someone who travels often and doesn’t want to sacrifice packing a makeup remover or a cleanser, in the Micellar Water you get both! MTF Beauty Hack: if you’re only bringing a carry on ditch the larger size bottle and purchase TSA-approved sized bottles at your local drug store. That way your micellar water can come on even the shortest of trips with you! In all, we have to say the inVitamin product line is impressive quality given the price tag. For an all natural small batch product, we would expect to pay far more given the effectiveness of the range in whole. Most products average in the $12-$16 dollar mark so there is no harm in picking up a few of these to see if they work for you! We felt the range really hit its stride with its cleansing products and look forward to seeing more from them in this product category!